Oh wow! Now that’s a hello from The RomeHello Hostel! 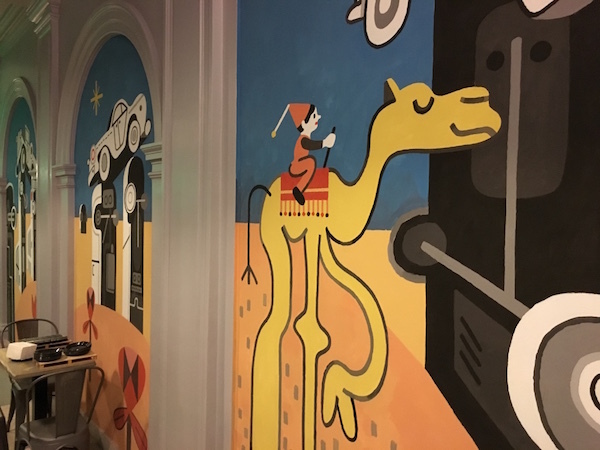 Wandering in from the front of the entrance of The RomeHello Hostel, my mouth grew open in amazement as I reached the foyer past the eclectic street art designs that adorned the hall walls. I knew I was expecting this to be a brand new look feel, but what struck me was the homely feel already set in place. I simply had to reach for my camera but as I dug around for it in my backpack, a stunning number in a blue hoody entered my eye line and reached forward with a hug to say hello. Now, that’s what I call a welcome! Both of us grinning ear to ear, this staff member guided me into the reception area to say ‘ciao’ to the other staff members there. Spotting us, both of them grinned at me too. 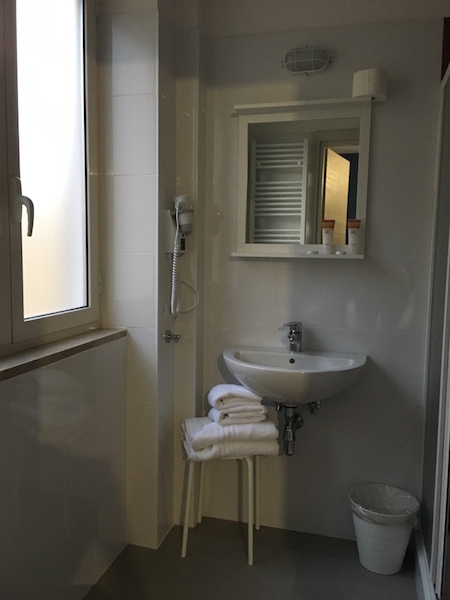 From this point, I knew I was going to have a wonderful stay right in the heart of the city of Rome. 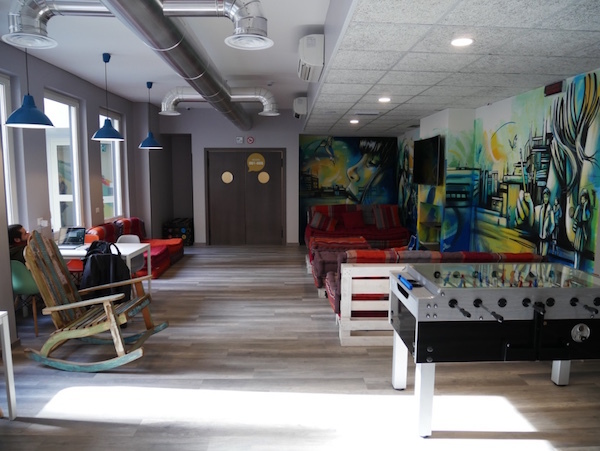 Get your 10% discount on your booking with The RomeHello Hostel! Thanks to The RomeHello, you can get a 10% discount promo code for your stay in Rome at the hostel! Scroll down to the bottom of the post to get it! Containing 207 beds in a mix of spacious dorm and private rooms, all with en-suite bathrooms, you won’t feel like you are crammed in at all. Believe me, you’ll be able to swing a Rome wolf by its tail in any room. On the ground floor, you’ll find the clean and homely guest kitchen and cosy lounge (did I tell you it comes with a Nintendo Switch?) with sofas that you can sink into after a hard day’s sightseeing – totally worth it but you’ll got to give yourself time to extract yourself out of them. But if you’re looking to chill in the lounge, just look for the bookshelf that holds many travel guides to give you inspiration where to go to see and do. Or you can meet people in the inner courtyard at the benches and outdoor chairs to shoot the breeze with. 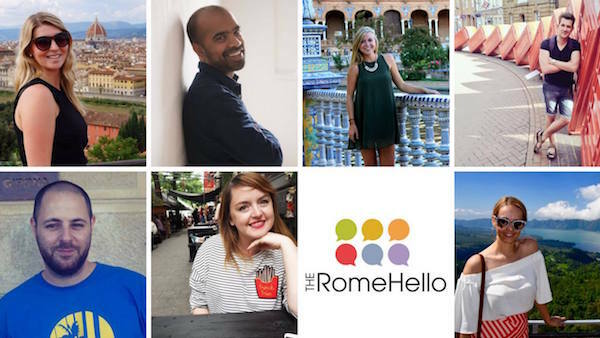 So what makes The Rome Hello so special from other hostels in Rome? 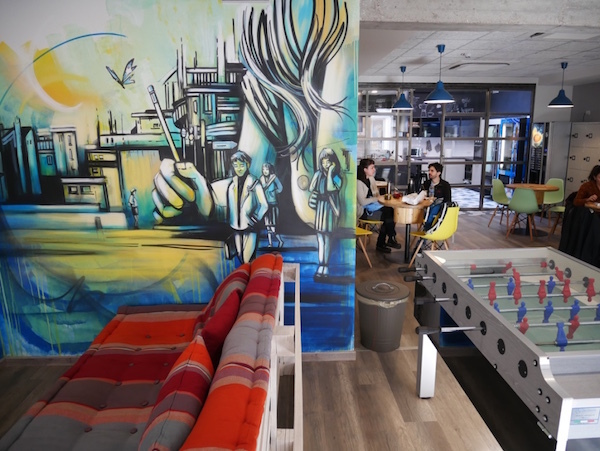 This hostel has been designed by local architect, Franco Bernardini, and the RomeHello intends to become a creative hub for creatives, tourists, families and business travellers. So whether if you are a culture queen (hello! ), tattoo artist, selfie snapper (hello again!) graffiti fan and more, the staff will make you feel at home. 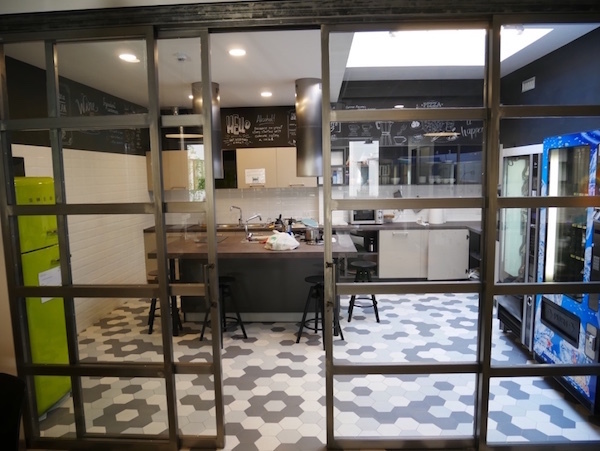 It’s not a party hostel, which will come as a relief for many (myself included) but you will socialise in very much a creative and sharing environment. One of the best things about The Rome Hello is how close the main sights and attractions are. For those wanting to witness the history of Rome, the Trevi Fountain, the Pantheon, the Spanish Steps, the Colosseum, and the Roman Forums are within a 20-minute walking distance from the hostel’s front door. For unmissable sights that are a bit further such as the Vatican City, you can catch the metro line from Repubblica station, which is only 5 minutes walk away. Comfy double bed – I sometimes couldn’t drag myself out! Fridge – to keep my lovely Italian pasta fresh! Sofa/lounger – when in Rome, you can relax and stretch out on this sofa. Where are the grapes when you need them? Extra-strong wifi – perfect to upload your Instagram pictures of the hostel and of Rome. Adjacent to the room, you are given your very own en-suite bathroom! Comes with a toilet, sink and shower, the bathroom also comes with a bidet too (just don’t ask me what it’s used for!). Not only that, The RomeHello has also supplied branded fragrant shampoo and soap that’s a delight for your nose when you rub your body. The shower has a strong pressure and great acoustics too! (Mamma Mia was my go-to song). 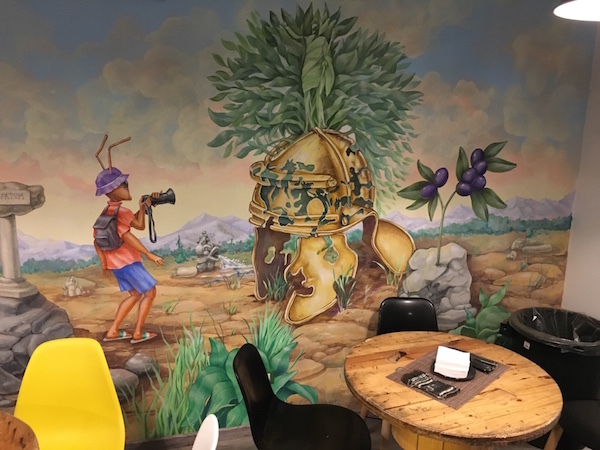 If you’re staying in your private room at the RomeHello, I do recommend that you get out of there and explore the social areas of the hostel even while you look at the indoor street art. 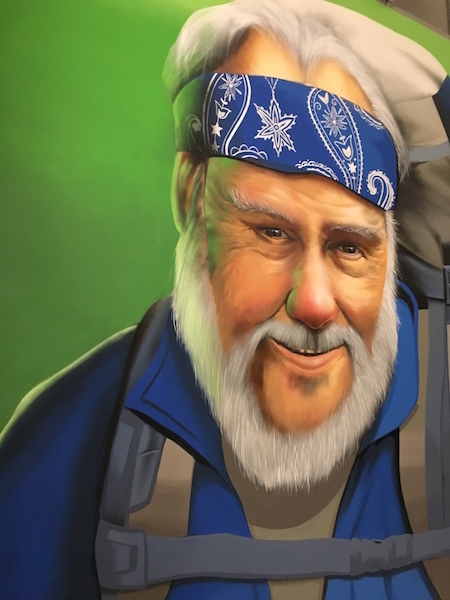 There are so many things to offer and you can easily meet fellow backpackers/travellers from all walks of life in a relaxed and intimate setting. My favourite had to be the lounge. With comfy sofas and a vibrant colour scheme, you can sit back with one of the travel books, available for use, or you can play on one of the table games such as foosball. Competition does make great friends! Don’t have a laptop or tablet on you? Have no fear. The Rome Hello has two computers that you can use to check in on your Facebook and browse the internet. What’s more, you can use the printer to print out your tickets and boarding cards if needed. Perfect! There are also daytime lockers too. If you’re checking out and you have the whole day to yourself before leaving but you don’t want to cart your luggage around with you, you can store them in one of these. What hostel doesn’t come with a kitchen? Well, The RomeHello has done one even better. This homely feel of a kitchen has all the mod cons needed to help you cook up a storm of a perfect meal. Just be prepared to smell the waft of delicious food coming out. 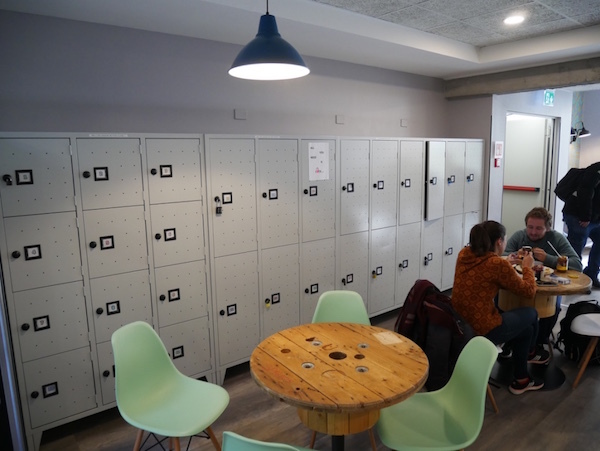 If you’re looking for a more livened atmosphere and a good drink, of course, then pop into the Barrel Bar, The RomeHello’s very own hostel bar. With various beers and a wide range of spirits, you will always be in for a good time. Remember to expect the unexpected as certain events in this bar pop up when you least expect it. Okay. Can we all stop now? This is by far the best hostel breakfast I’ve ever had in my seven years of travelling. Served in the Barrel Bar in the morning, breakfast is accompanied by a gorgeous friendly hello from the breakfast staff who works there. With a smile (Big up to Alfonso – the Breakfast Manager! ), they will show you to your seat and ask you how you like your coffee. That drunk, you can help yourself to the buffet and I will tell you that you will be wondering what to get to fit your plate. You have a choice of a hot breakfast, cold cheeses, luncheon meats, or even cereal or muesli. But the best bit? They serve cake. Yes, you read that right. Cake for breakfast. I can hear you start packing your bags! For me, any hostel experience can be made or broken by the staff. Well, The RomeHello didn’t need to worry. All of the staff were extremely welcoming, courteous and permanently happy (is it a requirement for the hostel to employ such good looking staff?). Always helpful with any enquiries I had, they will always stun you with a winning smile every time you walk past their desk. That feel-good factor almost wanted me to pack one of them up in my suitcase to take home. The location of The RomeHello is absolutely perfect. Not in the touristy part of Rome, you can definitely feel you are part of the local area with small businesses nearby. It’s also a 10 mins walk from the main train station in Rome meaning you won’t have to worry if you get lost. Also, it’s within spitting distance to the main sights of Rome so you can grab yourself an espresso on the way and sneer at the selfie-stick carrying tourists. Therefore I give The RomeHello hostel a brilliant five out of five! 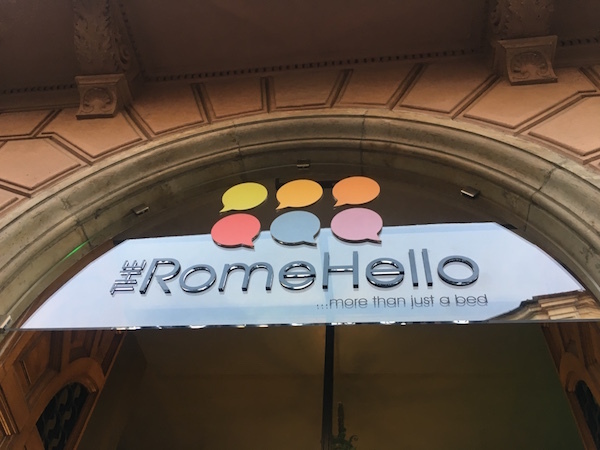 While I was staying at The RomeHello, I had the privilege of attending their official launch party! Inviting their guests, locals around the area, other hostels and friends and family of the owners, the night would absolutely be electric! With food served by the cheeky group called Food Family who provided delicious sandwiches (the ricotta and spinach ones were awesome! ), they excelled themselves with their Arancini bar. 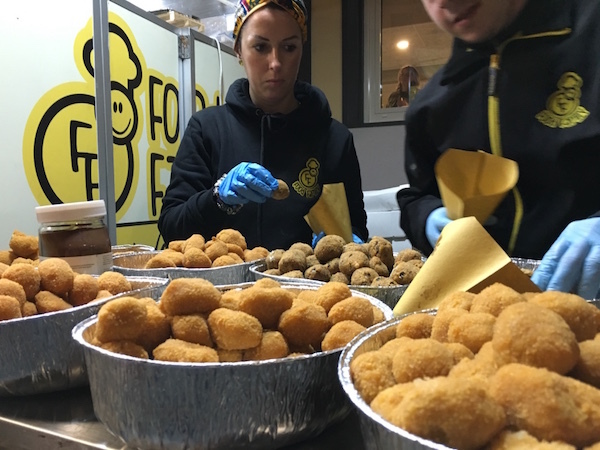 A cone full of arancini balls is just what makes me happy like a pig in mud. I may have had about five cones but hey, who’s judging? 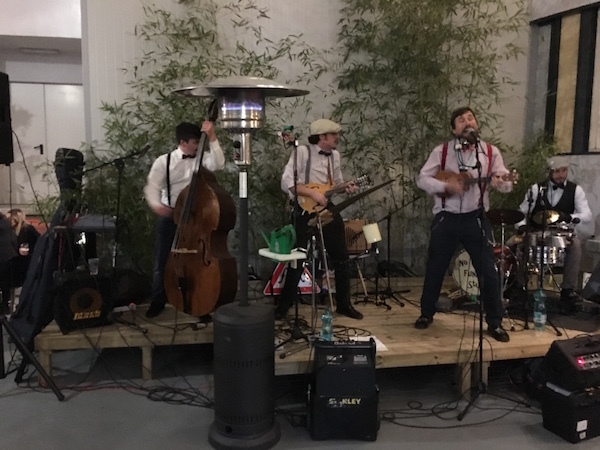 Thanks to The RomeHello for putting on a wonderful night! 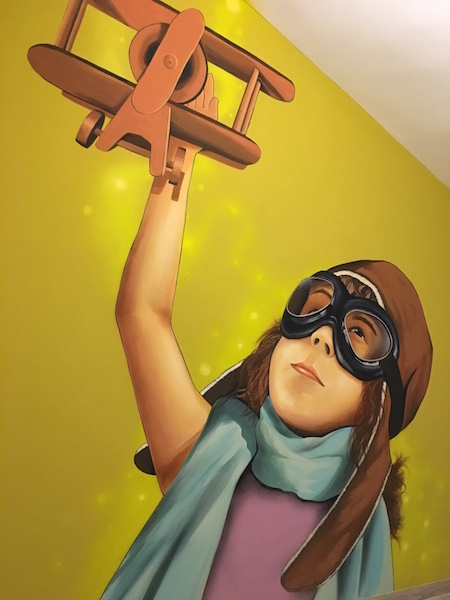 Convinced you want to stay at The Rome Hello hostel in your next visit to Rome? (You’ll be crazy not to), you can get your 10% discount promo code below. All you have to do is click here: I WANT TO STAY IN THE ROMEHELLO and use this promo code ‘REXYEDVENTURES‘ to get your 10% off your booking. 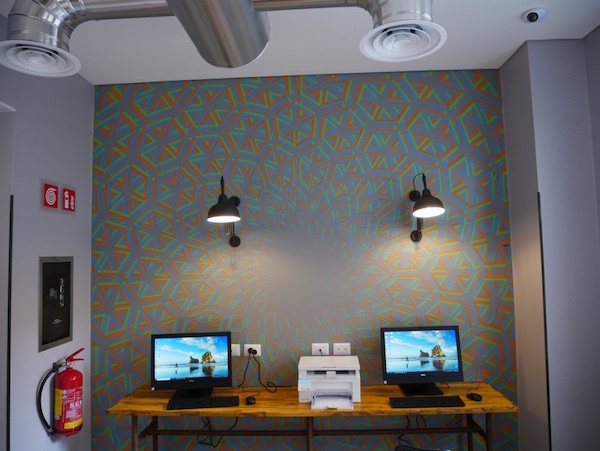 So, what do you think to The RomeHello hostel? Let me know in the comments below! 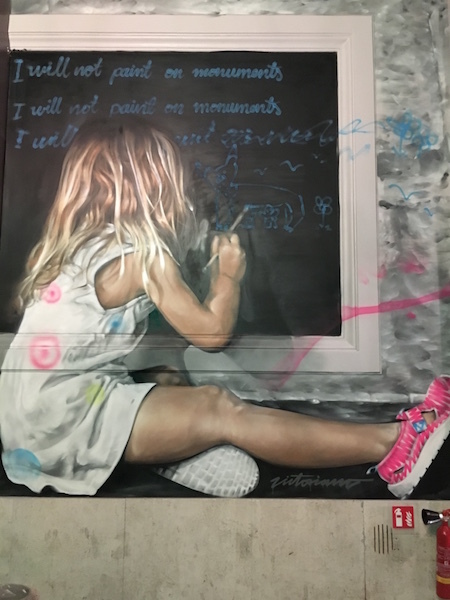 Meanwhile, stay tuned to find out more about my long weekend in Rome including a street art walking tour, a sightseeing tour, a night of delicious Italian pasta dining experience and a visit to another country right in the deep heart of Rome.